Tomorrow morning, hundreds of students will fill Lee's classrooms to begin a new semester of learning. As most freshmen and transfer students have already found, though, the learning actually began the moment they stepped on campus. Now that orientation is over, the parents are gone and the new students are free to do what they want, I'd like to share a few practical pieces of advice that maybe the orientation packet didn't quite cover. 1. Pedestrians do have the right of way. Drivers, this means that sometimes you will have to stop (especially during class changes). Please don't run us over. Walkers, as tempting as it is, don't just dart out into the road assuming that the driver will stop. I know it's not always convenient to use the crosswalks, but if at all possible, please do! 2. Beware the golf carts. 3. Get used to waiting in line. Registration is like a boot camp for line-waiting. Once you make it through this week, you will be a seasoned veteran. Which is good because 10 to 1 you will be waiting in another line very soon. Whether at a free food event or just trying to get your card scanned after chapel, Lee students receive a lot of practice in the art of waiting. 4. Free food is a blessing. Meal plan or no meal plan, college kids flock to free food events. I am pleased to report that, for the most part, all of the free food around here is quite delicious! My personal favorites are when the diversity clubs such as International Student Fellowship put on events; be sure to check those out! 5. Carry a jacket if you tend to get cold. Lee University seems to have this odd equation for regulating indoor temperature: if it's really hot outside, it has to be exceedingly cold inside. This is great when you're just passing through a building on a hot August day, but when sitting through 50-minute classes, it can be a bit bone-chilling. If you like staying warm, just stick a sweater in your backpack. 6. Always carry your ID card. Those of us living on campus need them to get into our dorms. But you also never know when a Campus Safety officer might just walk up to you to make sure you have proper ID on your person. Trust the voice of experience, save yourself the lecture and carry the card. 7. Use your chapel skips wisely. Always plan on going to more chapel services than you have to. That way, if something comes up (or maybe one day you just don't feel like going), you can evade probation for one more month. Thankfully, we can now check chapel attendance on the new Portico system. If you don't understand something, don't know where something is or can't figure out why or how something happens, just ask! Lee University is one of the friendliest communities you'll ever live in; take advantage of it! And don't be freaked out if someone comes up and asks if you need help; it probably means you have a dazed and confused look on your face and you should have asked about an hour ago. Hopefully none of you will get to that point, though! 9. When it comes to service hours, just do it. Ten hours each semester really isn't that bad. The projects that the Leonard Center arranges throughout the semester are actually really fun! The worst part is having to write the 2-page paper, and even that isn't as bad as it could be. People at the Leonard Center are there to help you if you need to get jump-started. And the sooner you write it, the sooner you can get back to whatever you were doing before. You might just catch the service bug and volunteer all semester long! 10. Study hard, but take breaks. It is scientifically proven that study breaks improve the quality of study. Take a 15-minute break every hour or so. That's plenty of time to run to Jazzman's to get a drink or just chat with a friend down the hall! Some of the best learning experiences happen outside the classroom and the study room. Just be sure to return to those books! Most importantly, though, don't forget to pick up a copy of the Lee Clarion when you see a new one on stands! 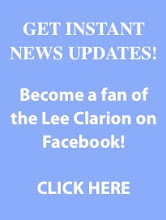 The Lee Clarion is published every other week with the first issue hitting stands Aug. 21.